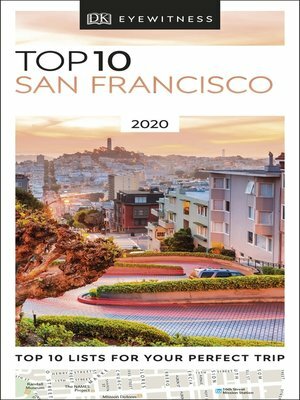 An unbeatable guide to San Francisco, packed with insider tips and ideas, color maps, top 10 lists—all designed to help you see the very best of San Francisco. Take a ferry trip to historic Alcatraz, bike across the Golden Gate Bridge, visit the seals at Fisherman's Wharf, or ride a clacking cable car to Chinatown. From Top 10 cafés and bars to Top 10 things to do for free—discover the best of San Francisco with this easy-to-use travel guide. Staying for longer and looking for a more comprehensive guide to San Francisco? Try our DK Eyewitness Travel Guide San Francisco and Northern California or our DK Eyewitness Travel Guide California.